Thursday the Herald Sun (via GamePolitics) reported on the possibility of lie detection games being supported by the new Wii Vitality Sensor. 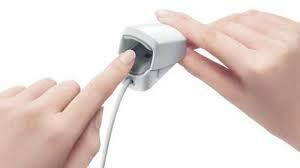 While I’ve not seen any reports that the Vitality sensor measures skin conductance (i.e. level of sweat on the inner surface of the fingers) as claimed in the article*, it did get me thinking whether or not lie detection could be a fun game mechanic. Lie detection is based on the premise that when a person lies it elicits a physiological response which can be discriminated from the truth. In a polygraph test (a type of lie detection test) this premise is used to ascertain whether a person is answering a question truthfully or not using a range of autonomic measures such as pulse rate (i.e. like Vitality supports), skin conductance and blood pressure. In a typical polygraph test an investigator begins by asking a subject a few sample questions for which the truth is already known. This allows them to build a baseline for physiological activity representative of a question answered truthfully. Next the investigator will ask questions for which the truth is not known and via their physiological responses the investigator will infer whether they have lied or not. Obviously this all assumes that lying has its own physiological discriminates. To my knowledge it doesn’t, least not the autonomic measures commonly used in a polygraph test. For more information I suggest consulting The Polygraph and Lie Detection (National Academy Press)**. Anyways back to whether lie detection can be a fun game mechanic. I’m going to walk you through the design of an example lie detection game and discuss the various issues and its potential for play along the way. This entry was posted in Musings, News and tagged biofeedback games, design, lie-detection, videogames, Wii Vitality on June 12, 2009 by Kiel Gilleade.